American rock act CKY has debuted a third new single today titled "Head For A Breakdown". This is the final song fans will hear from the band before the release of the new LP, "The Phoenix". CKY released "Replaceable" a couple of weeks ago, and "Days Of Self Destruction" (featuring Brent Hinds) before that. 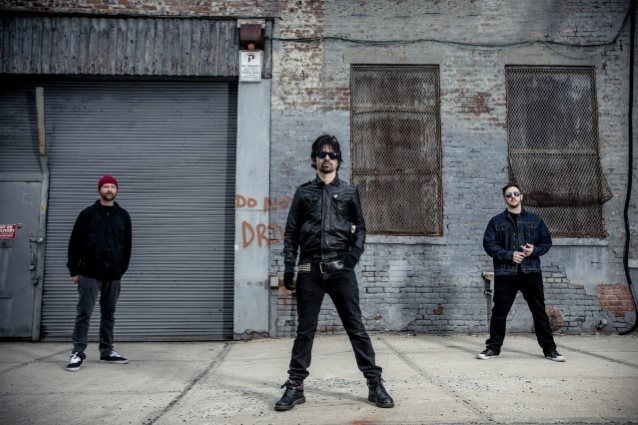 "'Head For A Breakdown' seemed to write itself," says CKY vocalist Chad I Ginsburg. "In a sense, it's a song about taking things too far when you darn right know it won't end well but you do it anyway. Go figure. The mid solo section is an epic break unlike any we have done in the past. Very proud of this song." In addition to all pre-orders now being live, all three tracks are also available as instant-gratification tracks on iTunes, meaning fans who pre-order the album on iTunes will receive the tracks as instant downloads. "The Phoenix" will be released on June 16 via eOne Music. The all-new LP will be the first release since CKY put out "Carver City" in 2009. The disc was engineered and mixed at Rancho De La Luna, the highly regarded recording studio in Joshua Tree, California. The cover art for "The Phoenix" can be seen below. The band commissioned chandelier maker and artist Adam Wallacavage to create a one-of-a-kind piece for the cover. CKY has tour dates booked all summer highlighted by a return to the 2017 Vans Warped Tour. This is the band's first time returning to the Warped Tour since 2000. Chad I Ginsburg steps into the frontman role with charisma, charm, and bravado, confidently delivering a diverse performance as he claims a position that was clearly rightfully his to own. He's joined in enduring partnership and musical and personal chemistry by fellow CKY co-founder, Jess Margera, the drummer whose extracurricular work in projects like THE COMPANY BAND (with guys from CLUTCH and FIREBALL MINISTRY) expanded CKY's horizons as much as Ginsburg's solo work has as well. The duo returned to their primary project refreshed and reenergized, with bassist Matt Deis (ex-ALL THAT REMAINS), who first joined CKY in 2005. GUNS N' ROSES, METALLICA and DEFTONES have all personally invited CKY on tour, cementing a legacy as a hard-charging live act. 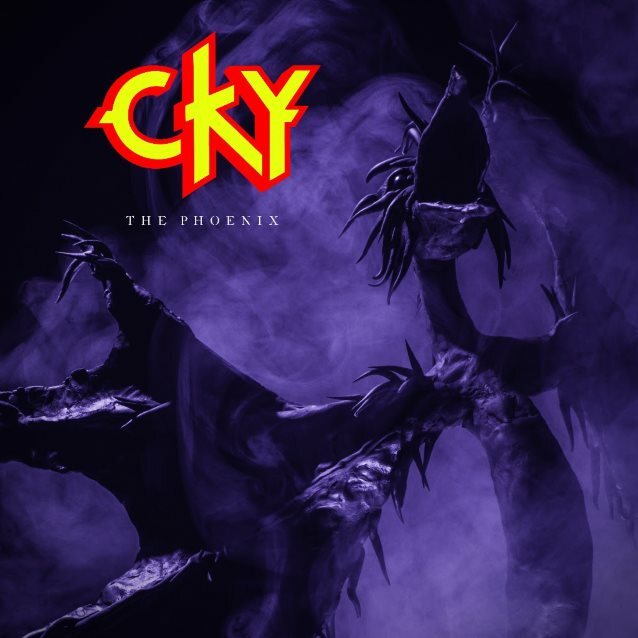 CKY built a worldwide fanbase of dedicated acolytes, friends, and supporters, lovingly dubbed the CKY Alliance, with a broader group of musicians, athletes, and other creative types in the CKY family, both literally and figuratively. "We're grown adults now with an eagle-eye perspective on who we are, what we do, and how to do it right," Ginsburg declares, with matter-of-fact certainty. "None of us are out there in the clouds. We're pretty well-grounded people that have an honest perspective on where we're at."